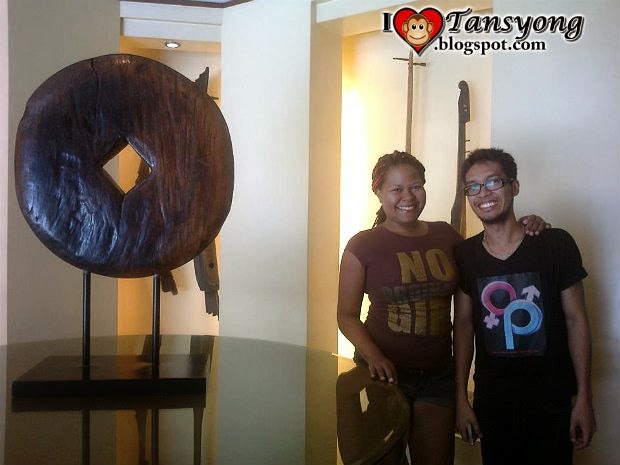 I Used to Become a Celebrity in Sofitel Philippine Plaza Manila Hotel. To become a theatre performer is a way for me to experience this Five Star Hotel in Manila named Sofitel Philippine Plaza Manila Hotel. The only 5-star luxury resort hotel in Manila, Sofitel Philippine Plaza is an iconic property standing amid an expansive tropical setting, known for its spectacular Manila Bay sunsets, the hotel continues to attract both local and international travelers alike with its signature brand of Filipino hospitality and the French joie de vivre that is reflected in its rituals in food and wine, and varied entertainment offerings. It took 2 weeks for the team to fix all things and getting ready to showcase our talent. From rehearsal, wardrobe, props, and all in production cast and staffs, are well prepared. It was totally a sacrifice for the FAME Team. But then, I was very thankful because in just a short span of time, I was able to experience how to become a celebrity. The said performance is in Sofitel hotel. Therefore let me share you the story. Sofitel Philippine Plaza Manila Hotel is accessible. It is located at CCP Complex, Roxas Boulevard, Pasay City. From the Ninoy Aquino International Airport, Centennial Airport and Domestic Airports, take a car or taxi towards Roxas Boulevard, and cross over to the Coastal Shopping Mall. Turn right on President Macapagal Boulevard and head straight toward the Cultural Center of the Philippines Complex. Sofitel Philippine Plaza is located right next to the Philippine International Convention Center (PICC). To be honest, that was my first time to experience a Five Star Hotel (since I am not capable of paying luxurious hotels). The Production booked a room for our make-up and it also served us our dressing room. The morning of our performance, we had a dressed rehearsal. I arrived 7PM via taxi at the lobby of the hotel. The employees were accommodating even at the lobby, they wore Filipiniana Dress for girls and Barong Tagalog for men. They instruct me how to get at the rehearsal area. For me to get at the rehearsal, I need to pass through at the SPIRAL. The new Spiral is divided into 21 dining ateliers. In France, an atelier is an artist’s special workshop, and in Spiral it is where secret recipes are masterfully prepared right before your very eyes. The range of cuisines is expansive and the attention and detail to each dish has the focus of an artisan. Moreover, the restaurant’s very famous Icon is their Grand Spiral Stair. Because of the design, it is famous for Photo-shoot for Wedding Pre nap and other photo-shoots that will showcase wealth. They had superior room, luxury room, Sofitel suite, prestige suite, Opera suite and imperial residence. There rooms are very clean, superb, and you can really feel how life is beautiful. The Chandeliers, the lights, the carpet, the CR, everything reflects luxuriousness. As an ordinary individual, it really uplifts your alter Ego to dream high and act as a wealthy being in proportion to the environment of the entire establishment. 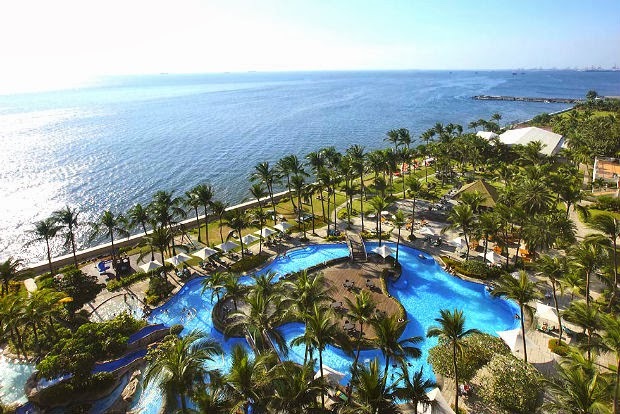 Sofitel is the only resort hotel in Manila who has as its signature facility an exquisite lagoon-shaped pool, breathtaking with its sparkling turquoise waters, two giant slides and cascading waterfalls – a show-stopping centerpiece amid landscaped tropical gardens dotted with palm trees. 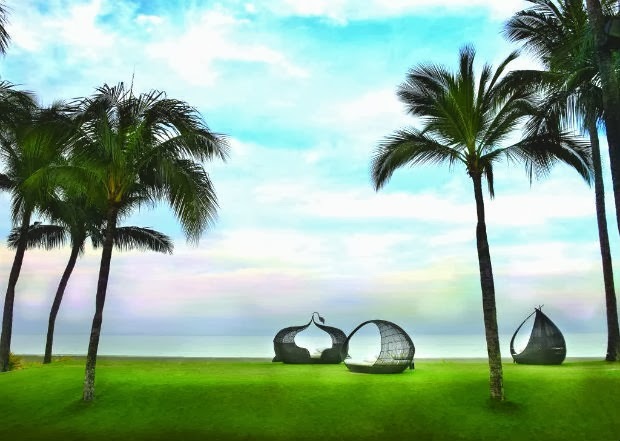 It is an ideal venue to relax and unwind, and sun beds are available for those who would like to take in the sun. It was totally one of my unforgettable experiences in life, once I became a celebrity who was able to experience to live like a celebrity, treated as a celebrity in just a short span of time. Maybe, someday I’ll be back and I promised to myself to comeback, to stay and to eat at the Spiral (PHP1500) by my own expense (nice motivation right). Anyway, I attached the video below of the said event.